Policemen and eyewitnesses debunk journalist's claim that refugees wanted to kill them. On March 13, 2018, three journalists—Republic TV’s Tejinder Singh Sodhi and India News’ reporter Ajay Jandyal and video journalist Gaurav—were beaten up by a group of unidentified men in Narwal, Jammu. 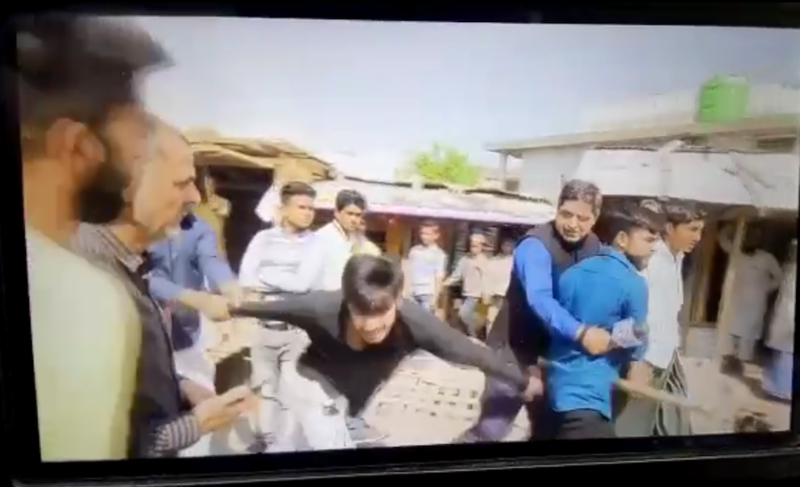 The issue gained momentum after a video from JK Update, a local media outlet, showed two boys assaulting the journalists and RTI activist Rohit Chaudhary. Tejinder Singh Sodhi even claimed that the refugees were in a mood to kill. The two attackers were arrested after Sodhi and the others filed a first information report (FIR). Cops have now been deployed at the sprawling makeshift refugee settlement in Narwal. To fact-check the whole incident, Newsclick visited the settlement and found it to be very quiet. Most people were hesitant to talk to strangers, especially media persons, fearing repercussions. But following is what NewsClick discovered on the ground. Sodhi used the video footage to claim that Rohingyas were behind the attack. He accused the refugees of attacking him with rods and snatching his gold chain and wristwatch. He calls the Rohingyas the “biggest security threat to the people and the ones who are trying to curtail the freedom of reporters by attacking them”. “The police are trying to shield Rohingyas as they have political pressure. I don’t know anyone by face. Let them (the cops) investigate and decide,” he said. The Jammu police, who arrested two local Muslim boys for the violence, categorically stated that they were not Rohingyas. “We have apprehended two local boys – Sher Mohammad and Mohammad Ashraf,” Jammu’s Senior Superintendent of Police Vivek Gupta told Newsclick. “We are yet to know the real reason for the attack. We don’t know whether this was part of a plan or there was some other reason.” Investigation is underway, Gupta said. A 20-year-old woman outside her makeshift tin shanty in Narwal stood up hesitantly as she saw policemen come towards her. In a flinch, she pulled her child to herself and exchanged glances with her sister. She had been talking about a ruckus that took place at Burma market on March 13. “Local Gujjars attacked them (the TV news reporters). We are not at all involved. They are taking our names to trouble us,” she told Newsclick. The Burma market emanates the putrid smell of dry fish and fear in the hearts of the refugees. “I was present when the incident happened. The scuffle was over a traffic jam. The journalist wearing a turban had his car parked in the middle of the road, blocking the way. Two local Gujjar boys were passing through the area with their family in a transport vehicle. They asked him (Sodhi) to move his vehicle. The journalist blatantly ignored them and continued with his work. When asked further, he abused the boys and that is how it started,” said Mohammad Shine Shofi, an eyewitness. Shofi said the media is unnecessarily portraying the refugees as goons. “They are in fact persecuted people and have no involvement in the local law and order problem. With their wrong portrayal, the refugees now fear for their lives,” he added. Another eyewitness alleged that the journalist slapped one of the boys first. Later, the two boys retaliated and Sodhi’s cameraperson recorded the assault. Later the police came to her place and arrested the two boys, she said. There were no iron rods and no Rohingya was involved. “I feel bad that they are trying to implicate them for no reason,” she said. Fear underlines the lives of Rohingyas since they have been uprooted from Myanmar. Right wing groups such as the Hindu Ekta Manch are spearheading a campaign to defame the refugees and press the government to evict them from the country. Recently, the Jammu Chamber of Commerce and Industry put out advertisements calling for the ouster of Rohingya Muslims from different refugee camps in the city. The advertisements – on the front page of local newspapers – read, “Rohingyas: a ticking time bomb. Evict them to save Jammu” and “Threat of Rohingyas looms large over the heads of peace loving Jammuites. Let’s save Jammu”. Advocate Ankur Sharma, who is a leader of the Manch, alleged that the Kashmir-based party (the PDP) is trying to change the demography of Hindu-majority Jammu by allowing Muslims to settle here in large numbers. Rohingyas waged a war against their own government and, therefore, they were punished. We demand the government that they must be thrown out from here as they are a threat to national security,” he earlier told this website. Other political parties have held demonstrations and put hoardings demanding their eviction. “Few television channels and media houses are coming up with fabricated stories because of which locals have started fearing them. Since the advertisements and demonstrations, our children are not allowed to study at the local government school. If they don’t study, how will our community flourish,” a 25-year-old young man living in a refugee camp told Newsclick. “We are not terrorists. Please, stop branding us like that. We want to return to our homeland. We want to go back as we have our houses there. We don’t want to live like a refugee. We will go back as soon as normalcy returns,” he added. Over a period of time fake news has become the new norm for mainstream media. In a race to attract audience and to break stories first, media networks, especially TV channels, have started circulating agenda-driven fake stories. But we can’t miss the organized pattern in which fake news are being circulated. They are mostly anti-minorities (Dalits and Muslims). The prime time panel noise where the anchor and his favorite party speak is one of the most visible patterns of this trend, And it’s quite a threat. It has the power to change the opinion of a given set of people. In the post-truth world, the seed of hatred is being planted by a few TV channels. 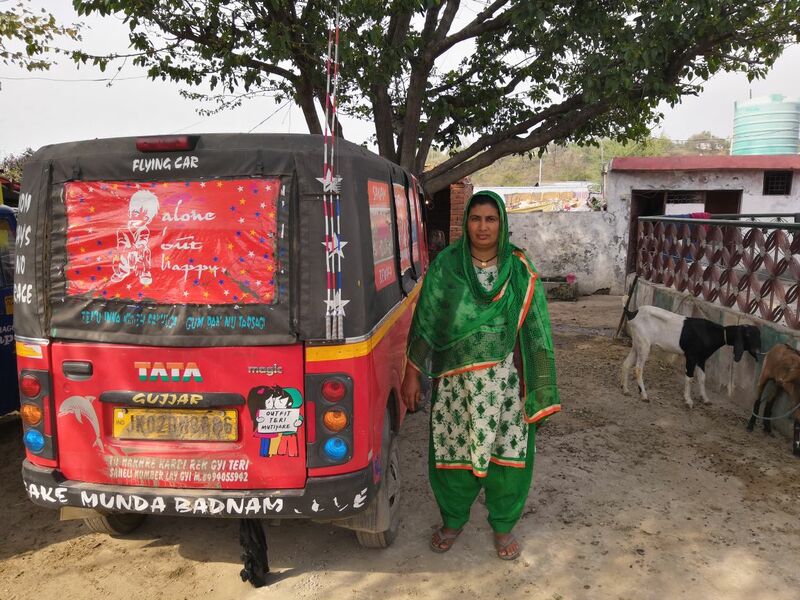 The blunder by Republic TV journalist Tejinder Singh Sodhi is one of the many examples that cannot be overlooked since such lopsided coverage shape public opinion and could leave an entire community feeling vulnerable.